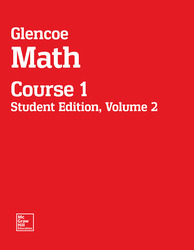 The Glencoe Math Student Edition is an interactive text that engages students and assist with learning and organization. It personalizes the learning experience for every student. The write-in text, 3-hole punched, perfed pages allow students to organize while they are learning.